It’s not an illusion; it’s your own eyelashes–only better! At Skin Solutions from Plastic & Hand®, we are very pleased to offer Latisse® to our patients. At your Latisse® consult, you will receive instructions about how to use this exciting treatment and leave with your own supply of Latisse®. Staff members here at Plastic & Hand and Skin Solutions are using Latisse® with great success! Latisse® (bimatoprost ophthalmic solution) 0.03% is the first and only prescription treatment approved by the FDA for inadequate or insufficient eyelashes, growing them longer, fuller and darker. Click here to see the gallery of before & after photos! Clinically proven results you can see over time. 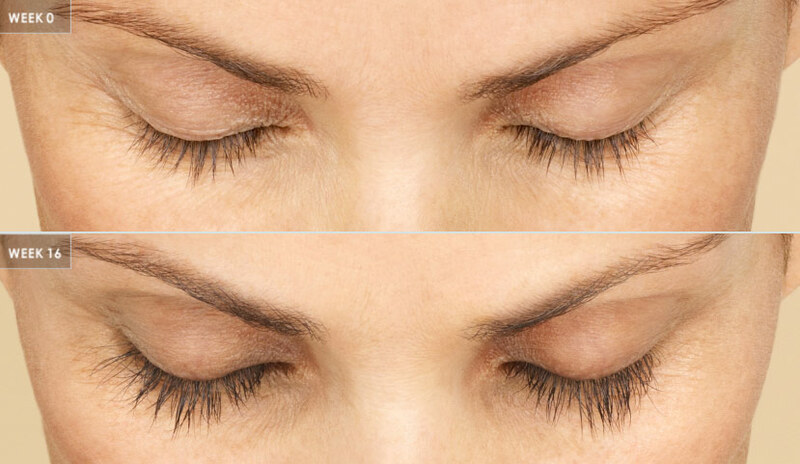 Latisse® is easy to use, FDA-approved and effective. It’s a once-a-day treatment you apply topically to the base of your upper eyelashes. Patients in a clinical trial saw results gradually over time (starting at 4 weeks with full results after 16 weeks). It’s an innovation backed by research. While Latisse® is a new treatment in eyelash growth, it was developed through years of research by Allergan, a pharmaceutical leader with over 60 years of expertise in prescription eye care products. Q: What are Skin Solutions from Plastic & Hand patients asking us about? A: With thicker, longer and darker lashes, many of our Latisse® patients are excited to complete their look. A free makeup consultation with one of our qualified aestheticians can bring your essential beauty to light using Jane Iredale mineral cosmetics: makeup that’s good for your skin. A: Our patients report that they notice an improvement within one month, but optimum benefits are achieved after 16 weeks. Q: Can I use Latisse® if I have blue eyes? A: Absolutely! There have been no reported cases of eye pigment change in over a million patients. Q: How is Latisse® applied? A: Like an eyeliner–to the rim of the eye. Not as drops into the eye. At Skin Solutions from Plastic & Hand™, our skilled aestheticians work under the direction of Plastic & Hand’s experienced plastic surgeons. Together, they offer the latest medical treatments and physician-grade products. Skin Solutions is a division of Plastic & Hand Surgical Associates. Sign up for free seminars, sales, products and treatments and news about the latest developments in skin care. ©2019 Skin Solutions from Plastic & Hand™. All rights reserved.